The problem here is the common one of imagining our visitors coming to our website and experiencing it just as we planned it. They’ll start at our homepage, we figure, then read all the information about our company and all the details about our products, and then, having seen everything we have for them, they’ll make a considered decision about the best button to click on. They’ll go over to our Call to Action page, of course, be called, and take that action. This isn’t actually how it works. If you click on that button (and, yes, it is a clickable button, the only one, down at the bottom of the page where people must scroll down to find it — that’s another problem entirely), the page simply closes. There is a page at this website that explains how to order. You are supposed to call the company, having perused the list of goodies on offer, and tell them what you want. You were supposed to have gotten to this list by clicking a button and having this page pop up. That way, when you click on “close,” you’ll return to the “how to order” page. Google Analytics tells us that a quarter of the people who make it to this page got there first. It was their landing page. 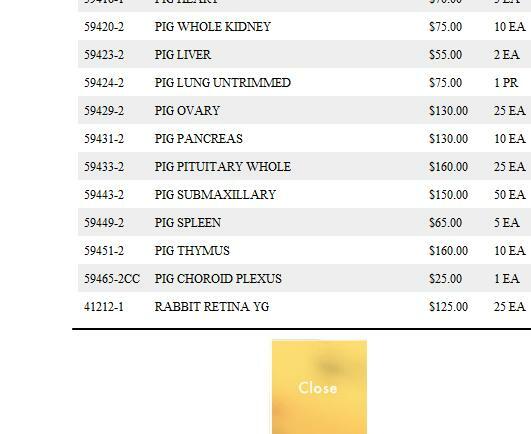 They were searching, perhaps, for some nice pig spleens, they found this page, they thought five spleens for $65 was a good price, and they were set to order — but there is no contact information on this page, no navigation, and no way to buy that pig spleen. The phone number is on each page, in the same place every time. Wherever I land in this website, I am invited to contact the company by their preferred means. Here’s another example, for an attorney who also wants phone calls from web visitors. The phone number is on every page, and you can’t miss the click to call button. This website offers different calls to action in one spot, but each is clear. Clicking the button takes visitors to a page with more information and the opportunity to make the purchase. If we look at the first, highly unsuccessful page and compare it with the other two, we can find a simple rule for the call to action on a website: there should be one. On every page. Where people can find it. This entry was posted in Web content, Web design and tagged call to action, ecommerce, usability. Bookmark the permalink.